The evermore technological business environment has transformed a large number of companies into software business - even if they desired it or not. Nevertheless, businesses already need access to all sorts of digital tools that allow them to identify opportunities better, solve problems, increase innovation, and reduce their costs, all at the same time. It's in every company's best interest to make better and faster decisions. Every such organization is built around how people make decisions. If there weren't any decisions to make, business owners could automate everything and leave the company to its own devices. But since this is not the case, being able to make the best decisions is a huge priority and something that can only be achieved with a digital business platform, which, in turn, requires data and analytics to work correctly. Business decisions come in different shapes and sizes, varying regarding value, execution time, data gathering, and impact, among others. It means that the way by which these decisions are modelled and analyzed also differ from one another. By using a decision model, however, management can better understand and frame their opportunities by determining the capabilities required for your organization to deliver its desired business outcomes. It will also help to understand better data and analytics as well as in figuring out the exact link between individual results and their respective decisions that led to them, in the first place. One challenge that keeps surfacing over and over again is understanding how data and analytics generate business value. One way to overcome this issue is to implement the so-called OODA Loop. Short for observe, orient, decide, and act, the OODA Loop is a decision model developed within the US Air Force. Intended initially for military campaigns at the operational level; this decision cycle has since been applied in commercial operations and various learning processes, favouring agility instead of raw power. The way it works is somewhat straightforward. We must first observe the event or opportunity that presented to us through data like management, governance, feedback, and context. By making use of their skills, programs, and change management, your people will orient the company's business processes accordingly, depending on context and dependency. You will then decide on the best course of action by using analytics and will then act following these revelations. Another challenge here is how organizations have problems with determining which particular investments drive which business outcomes. With the correct business outcomes in mind and by exploring how these outcomes will be achieved, there is only a matter of "connecting the dots" to make the right affiliation. Focus on the business outcome in mind by exploring the particular decision that is being improved. This step will allow you to express your overall requirements for your digital business platform. 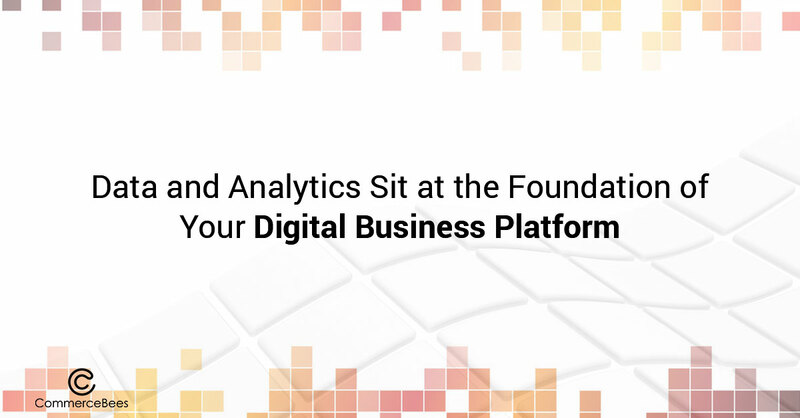 To narrow down on the exact kind of data and analytics your digital business platform requires, you will first have to identify which particular capabilities will need additional investment. Evaluate the data and analytics solutions available on the market to identify the ones which will eventually be in your specific data and analytics platform roadmap. If you wish to learn more or grow your company and better integrate data and analytics into your digital business platform and decision-making process, please feel free to contact us directly and ask for a personalized solution.